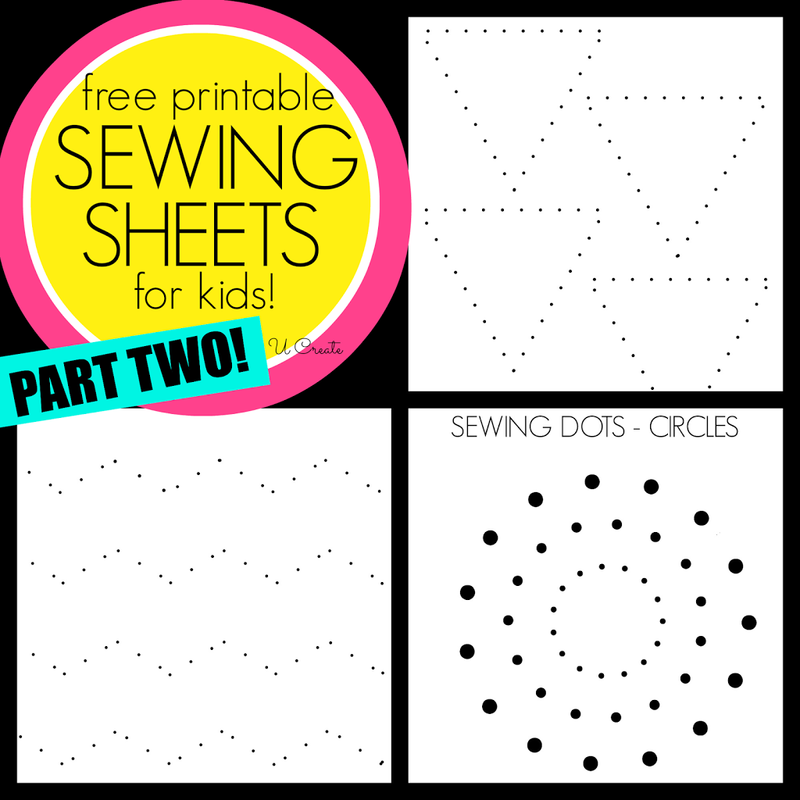 Sewing Sheets for Kids – PART TWO! Since the Sewing Sheets for Kids – Part One was so popular…I decided to create a part two set!! Triangles and chevron patterns are great practice for doing corners and pivoting the machine. The circles are great practice for appliqué and controlling the foot. My daughters have so much fun with these printables and I love teaching them new techniques!